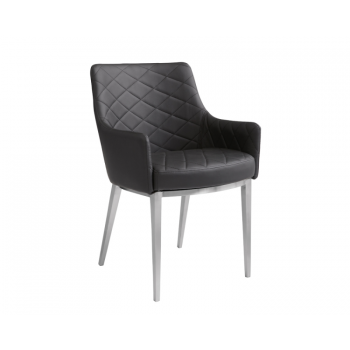 "This sleek yet transitional dining chair features brushed stainless steel legs with a diamond tufted seat and back . Stocked in grey, white and black faux leather with fire rated CA Foam. Sits beautifully."